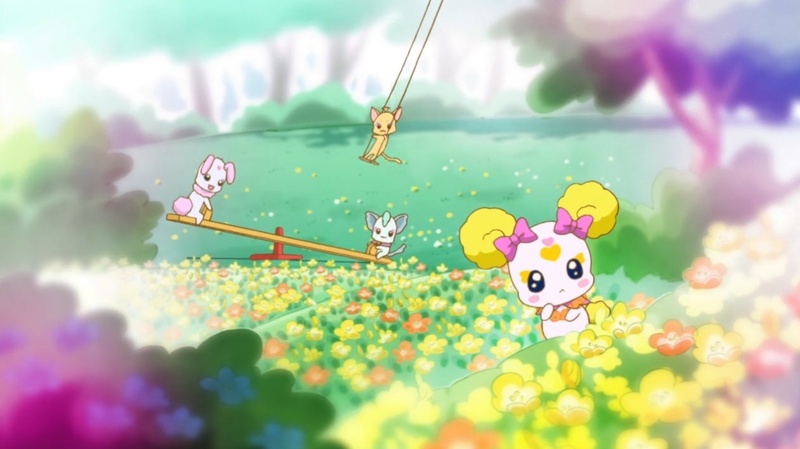 The philosophy of Doki Doki Precure in the matter of selfishness and Amity is so rich and deep that I am still mulling it furiously and hoping I can post before I leave! 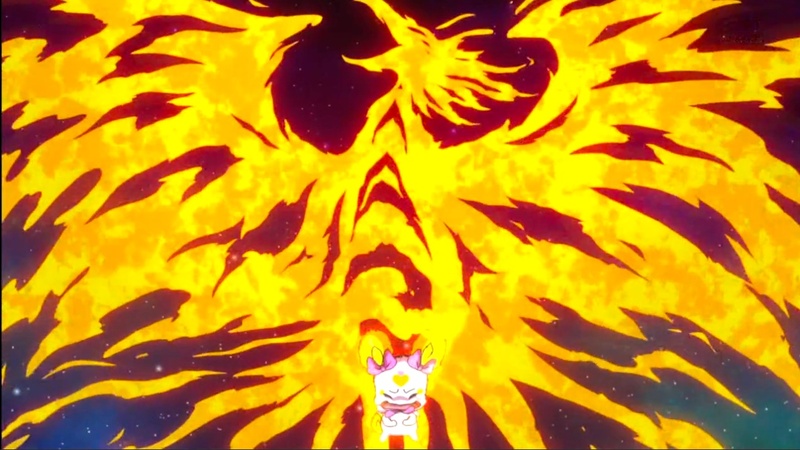 In the meantime I have just watched Smile Precure 31-32 and this story raises some fascinating issues connected to the concepts under consideration. 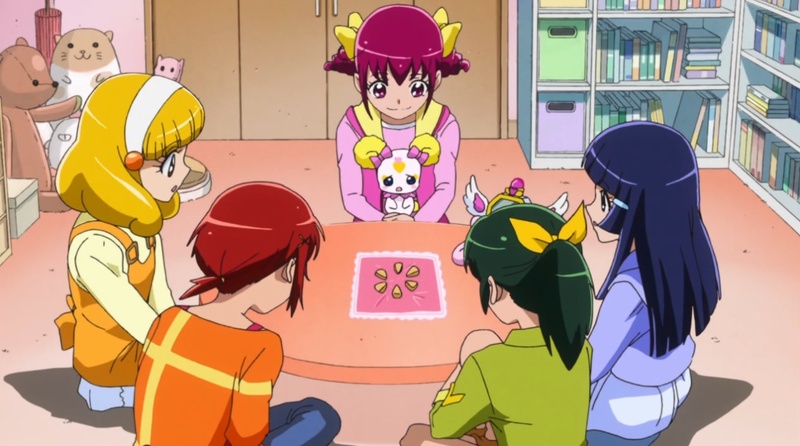 In this story, the Precures are confronted by the most powerful form of Akanbe yet — a hyper-Akanbe it seems that they need the help of both Candy and the Royal Clock to overcome it, but Joker traps Candy in the Ball of Neglect so that she cannot help the others. It is a little like the drug-induced “reality” of The Lotos Eaters. Even more interestingly, Joker declares that this is the Bad End that he and his cohorts have in mind for the worlds. Now so far we have seen the Bad Enders spread depression and despair. Now they seem to be offering a false bliss: a crystallization of the Pleasure Principle. But why is it false? Is happiness not happiness? If this is what the Bad Enders are offering, why not take it? Why, as Joker himself argues, opt for a world of struggle and effort when one could have pure, idle pleasure? He says in fact that their plan will succeed because no one will be fool enough to reject what they are offering. And why, indeed, should they? Candy’s moment of realization comes as a result of a lesson taught to her by Miyuki-chan at the beginning of the episode when she wants to have half a big cookie but Miyuki-chan divides it into six so everyone can have a small piece. At first Candy looks distinctly unhappy about the arrangement, but Miyuki-chan explains that shared food is more おいしい delicious than food eaten on one’s own, and when Candy eats her small piece, she is overcome with happiness and realizes that food shared with one’s Amity-group is indeed the most delicious of all food. In the dream world of the Ball of Neglect, Candy has limitless huge cookies and can eat all she wants; but she remembers her lesson and realizes that no food is as delicious as that shared with love, and that what she really wants is her Amity-group. With this realization she breaks out of the Ball of Neglect and returns to the terrible reality, where the Precures are lying all but lifeless, defeated by the evil Joker and his hyper-Akanbe. Overcome with love and distress, Candy’s impassioned and powerless cries suddenly turn into something far from powerless. 伝説の不死鳥. Sorry to lapse into Japanese, but the Japanese name is so lovely: 不Fu (non/un) 死shi (death) 鳥chou (bird) – the Legendary Undying Bird. The Phoenix. Little Candy’s resistance of the temptations of evil gives her the power to revive and save her dear Amity-group. The hyper-akanbe is defeated. But Joker is not finished. 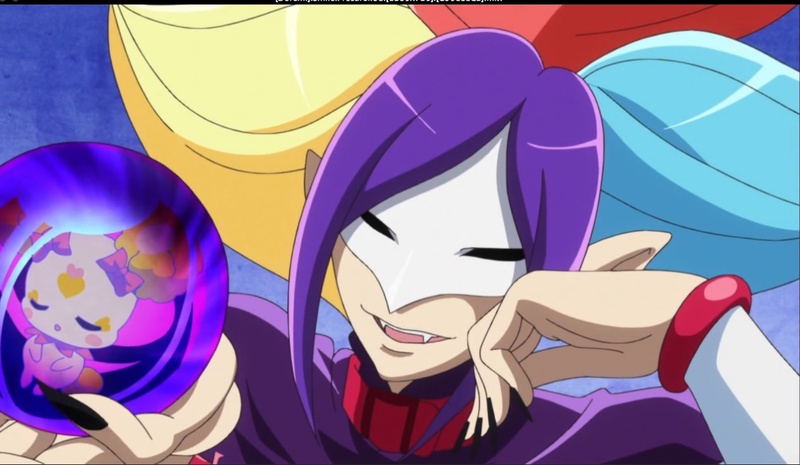 He entraps four of the five Precures in the Ball of Neglect. Now the Precures will face the test that Candy faced and we will learn a little more about the philosophical riddle posed by the dream-world of apparent bliss. Follow the Senshi discussion of the Riddle of the Ball of Neglect here.